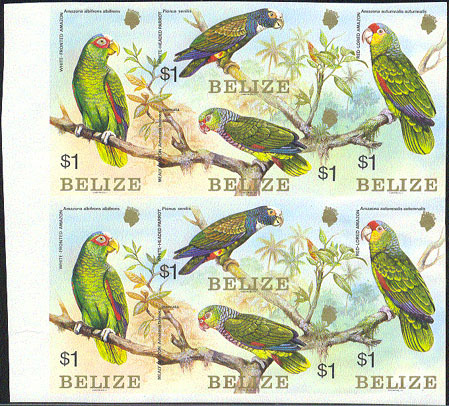 582 ND BELIZE (1984) Parrots*. Imperforate proof sheet showing all 4 stamps in 2 horizontal strips (2 of each stamp). Scott Nos 739a-d, Yvert Nos 686-9. Slight edge crease in bottom strip.